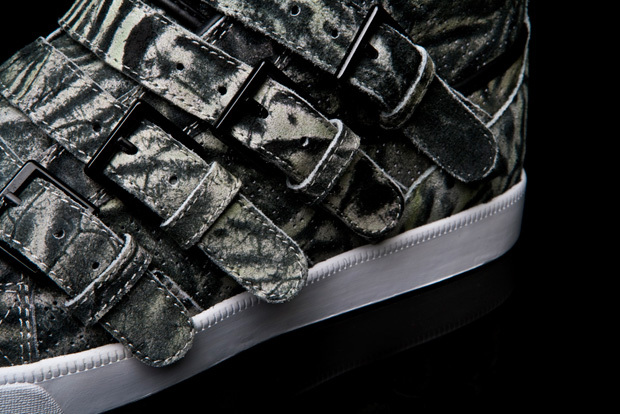 Aoki's "Wildlife" Strapped sneaker is Supra's latest addition to their series of Steve Aoki signature items. 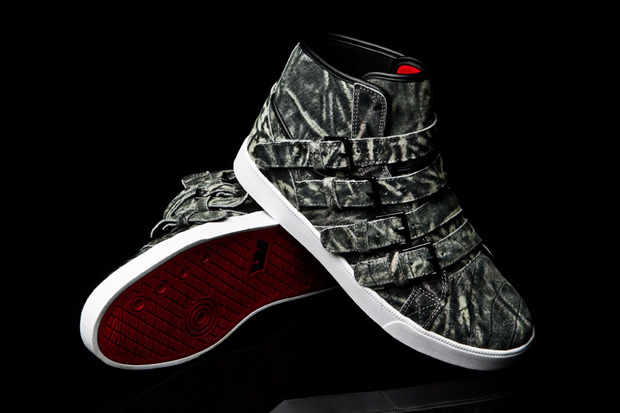 The kicks sports a stand-out Wildlife full-print upper combined with black/white/red accents on the popular Strapped model. 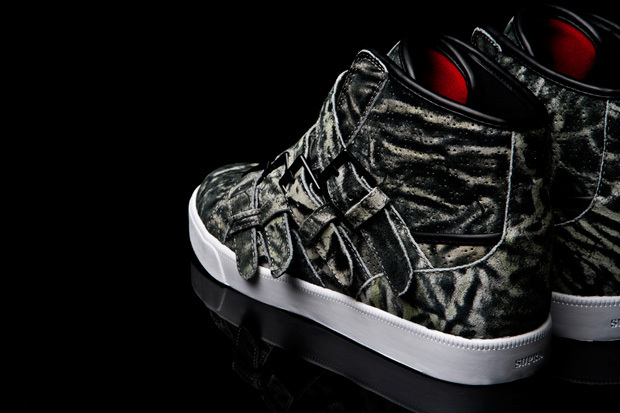 Supra looks to celebrate the launch with an exclusive party on August 18th at Factory 413 in Los Angeles. The event will feature DJing by Benji Madden and Laser Beam with an appearance from Steve Aoki himself.